Tom Thumb is a chain of supermarkets in the Dallas and Fort Worth areas of Texas. With 57 locations, it is the third most popular grocery store in that region behind Walmart and Kroger. The company and their parent company, Safeway, participate in many programs to support the community and environmental sustainability. See the link below for the Tom Thumb application. In 1948, J.R. Bost and Robert B. Cullum founded the chain, which had 20 stores by 1956. They expanded from Dallas-Fort Worth to Austin in 1972. In 1992, they merged with Randall’s Food Markets, located in the Houston area, and allowed the seven Austin locations to be converted to Randall’s stores. In 1999, both chains were bought by Safeway, who allowed the brands to retain their original names and designs. Today there are 57 Tom Thumb locations across North Texas. These stores have expanded from their original supermarket design, and now include pharmacies, floral arrangement centers, bakeries, sushi bars, and more. Safeway, the parent company, employs 265,000 people across over 2200 stores. The company has extensive involvement in supporting and building local communities. A portion of all sales at their stores goes to charity. They sponsor local events related to area beautification, children’s education, and fighting diseases such as cancer, heart disease, and obesity. They also have a strong focus on environmental sustainability. With many locations operating under the secure, established company Safeway, employees can enjoy job security. That, combined with an emphasis on employee health and safety, makes this a great company to work for. See the link below for how to apply for Tom Thumb online. There is no printable application form. With 57 stores in the Dallas-Fort Worth region and thousands more across the US under the Safeway brand, there are many job opportunities available. Tom Thumb jobs at retail locations include cashiers, clerks, janitors, baggers, and store managers. Positions are also available at the company’s product distribution centers and, in some areas, the home grocery delivery program. Degreed individuals can seek Tom Thumb careers at one of the company’s regional offices. The company seeks specializations such as accounting, customer service, finance, construction, law, information technology, and many more. For college students, there are summer internship programs available for students to apply their skills in the real world. How old do you have to be to work at Tom Thumb? The minimum age to apply for jobs at Tom Thumb is 16 years old. Depending on what position you are applying for, this age may be 18. In addition, certain positions will have other physical requirements, such as the ability to walk or stand for extended periods of time or to lift moderately heavy loads. 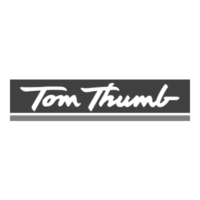 Tom Thumb jobs have a multitude of employment benefits. These include standards such as a competitive 401k, paid vacation and time off, and health, dental, and vision insurance. Employees also receive a generous discount on groceries at the stores. Recent college graduates can participate in one of their many leadership programs to challenge their skills and help advance their careers. Hours of operation vary from store to store. Usually, stores are either open 24 hours or from 6am to 1am, seven days a week. Below is a job description list for several Tom Thumb jobs online. Cashier- The cashier handles all customer purchases within the store. Responsibilities include treating customers with exceptional customer service, ringing up items, making change, and helping bag items. Cashiers may also handle customer returns. Applicants should be able to stand and walk for long periods. Average salary for this position is $9/hr. Clerk- Clerks are responsible for tending to one area of the store, such as the dairy section. Responsibilities include helping customers find items in that section, ensuring that all products are adequately stocked, keeping the area clean and tidy, and pricing new item additions. Average salary for this position is $7/hr. Manager- The manager is in charge of all operations for one store. Responsibilities include scheduling employees, taking applications, interviewing, hiring, and developing new recruits, ordering shipments of product, and interacting with customers with enthusiastic customer service. Three to five years of experience in the retail industry is required and a college degree is preferred. Average salary is $30,000-40,000/year. Janitor- Janitors maintain the overall cleanliness of the store. Responsibilities include cleaning up spills, waxing and buffing floors, wiping down shelves, maintaining clean restrooms and stocking paper towels and toilet paper. Applicants to this position should be able to stand and walk for long periods and handle liquid cleaning products. Below are questions you can expect to hear in an interview for this company. Tell me about a time you were a member of a team. Teamwork is critical for the smooth operation of a supermarket. To ensure product is stocked, problems are handled and customers are satisfied, there must be seamless communication between every position from cashier to janitor. How open are you to working nights/weekends? Working in a supermarket is not a 9-5, and you should expect night and weekend work and potentially even some graveyard shifts. Ensure that your schedule can accommodate this before applying. Tell me about a time you had to handle a conflict. You can expect that at some point during your work a customer will be unsatisfied with a product or you will get into a dispute with a co-worker. Prepare a story that highlights your ability to deal with conflict. Are you able to be physically active for long periods? Regardless of the position, supermarket jobs involve a lot of standing, walking, and lifting loads. Ensure your health and activity level allow you to do this all day. How well do you deal with stress? Working in a supermarket is an extremely fast paced job. Tell the interviewer a story that demonstrates how well you handle stressful situations. There is no printable application for Tom Thumb; you can either apply online (see link to download application form) or go in store for a direct application. Ensure your résumé is up to date and is legible and well written. The same goes for your online application form. Taking care in these matters is the first step in demonstrating organization and responsibility during the Tom Thumb application process. If you speak to the manager or interviewer on the phone prior to the interview, use a pleasant, confident tone of voice. Smile when you talk, because they will be able to hear it over the phone. In preparation for the interview, make sure to come up with your answers to the above questions as well as any others you may come across. On the day of the interview, dress well in ironed clothing: business casual for retail positions and business professional for managerial positions. Greet the interviewer warmly with a firm handshake and a smile with eye contact. Sit upright in your chair with a relaxed but confident posture. Don’t stress during the interview; if you have prepared, you should enjoy talking to the interviewer. Keep in mind that the interview should benefit you as much as your employer. This is the time for you to ask questions about the topics that are important to you. These may include what kind of schedule you will be working, what the opportunities for career advancement are, and what benefits you will receive. This will show the interviewer that you are truly invested.